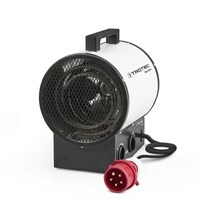 Ceramic fan heater TDS 20 P with compact dimensions and a maximum heating capacity of 3 kW. 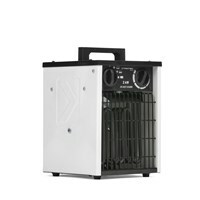 The TDS 20 R convinces with a compact design and a maximum heating performance of 3 kW. 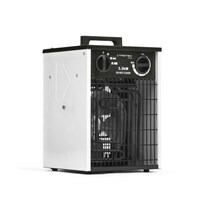 The TDS 30 with a nominal heat output of max. 5,5 kw (4.729 kcal). 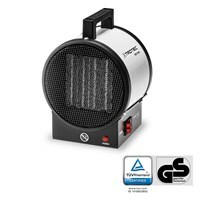 The TDS 30 M ceramic fan heater has a maximum heating capacity of 5 kW. 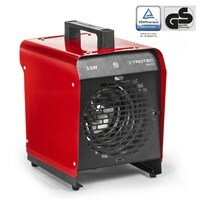 The TDS 30 R convinces with a compact design and a maximum heating performance of 5 kW. 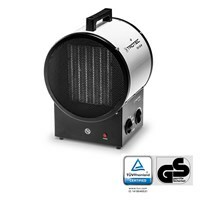 The electric heater TDS 50 with a nominal heating capacity of max. 9 kW (7,740 kcal). 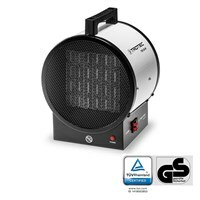 The TDS 50 M ceramic fan heater has a maximum heating capactiy of 9 kW. 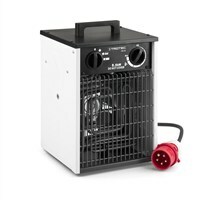 The TDS 50 R convinces with a compact design and a maximum heating performance of 9 kW. 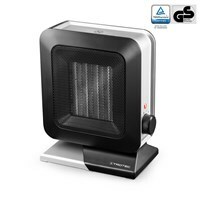 The electric heater TDS 75 with a nominal heating capacity of max. 15 kW (12,900 kcal). The TDS 75 R convinces with compact construction and max. 15 kW heating performance. 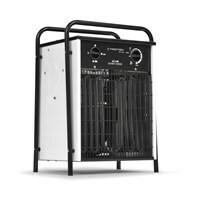 The electric heater TDS 100 with a nominal heating capacity of max. 22 kW (18,920 kcal). 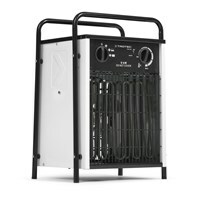 The electric heatining device TDS 120 convinces with a unique max. 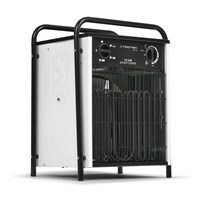 heating capacity of 30 kW. The TDS 120 R convinces with a compact construction and max. 30 kW heating performance. 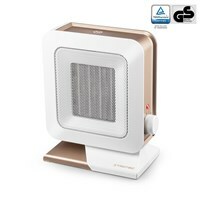 Portable heaters are available in many different designs. The location define which kind of lighting or which heating power you need. 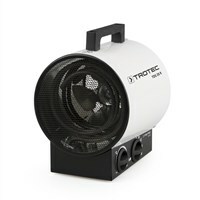 More than just "hot air": Trotec offers a wide range of products in the field of heating, so that you will find the right device. 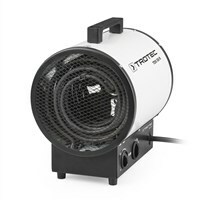 Ideal for heating of interiors: the Trotec electric heater! 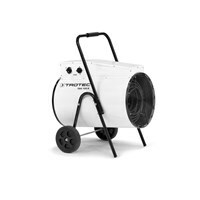 Whether in construction, agriculture or paint and body shops, electric heater from Trotec are always a safe and clean solution. 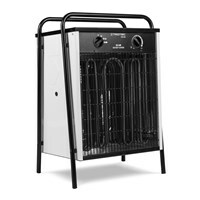 The drying of new buildings will accelerated when you are using electric heaters in combination with dehumidifiers. 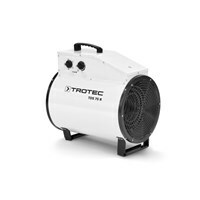 Trotec oil heater offers high flexibility in the place of installation:There is no need for an external tank cause the oil heaters have an integraded fuel tank. They provide warmth in warehouses, workshops, greenhouses and stables. Our product rang is from small mobile oil heaters with a maximum rated heat output of 19.6 kW to major professional oil central heating systems that achieve a heat output up to 350 kW. Ideal for surface drying of walls in new buildings or water damage. The infrared heating panel is original "made in Germany" Trotec production. 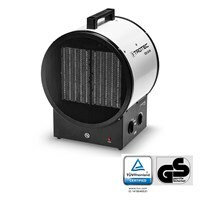 It ensures an uniform heat distribution over the entire surface with 630 Watt heating capacity. The heating panel can be operated either upright or horizontally. If you have any problems with the calculation of the optimum heat output - our heat requirement calculator will be pleased to help you. 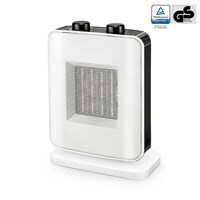 In addition to the various heating solutions we can offer you the right accessories.